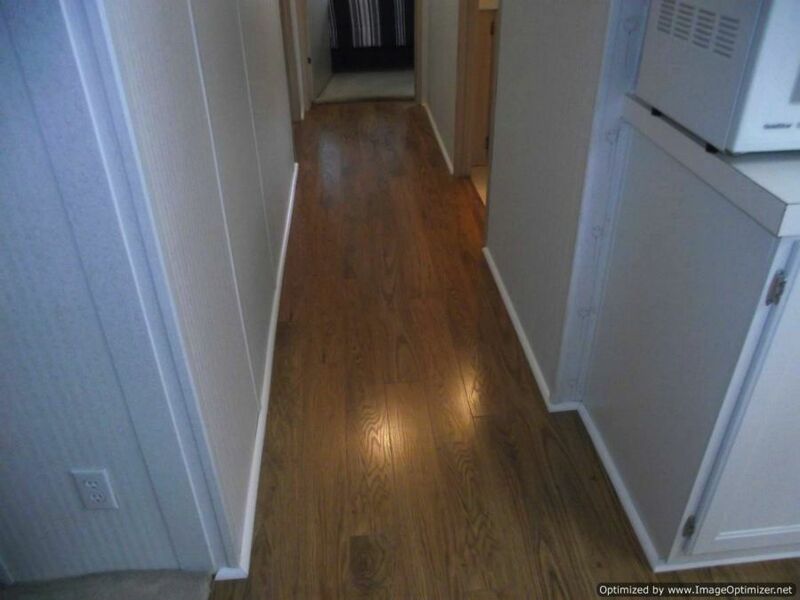 This Pergo XP laminate review is based on my installation in a mobile home. 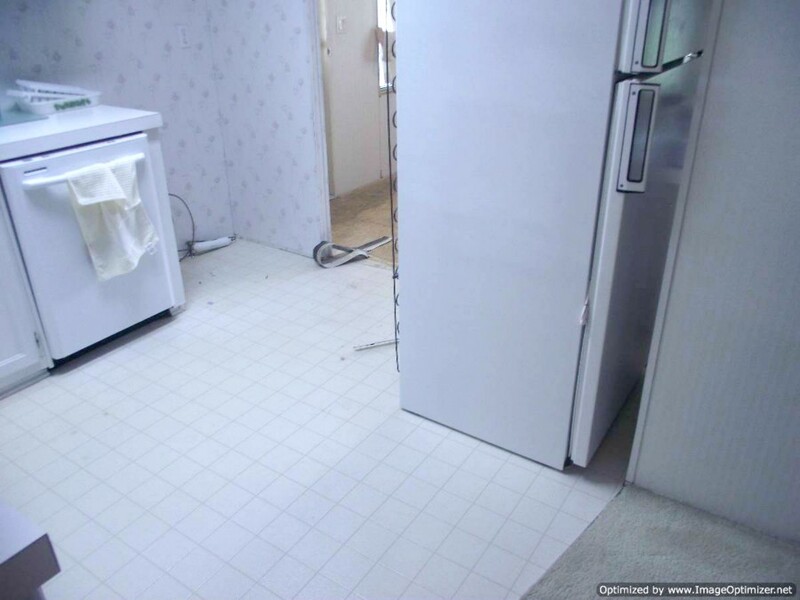 It was installed in the dining room, kitchen and hallway. This product is sold at Home Depot. I guess the XP stands for Extreme Performance. 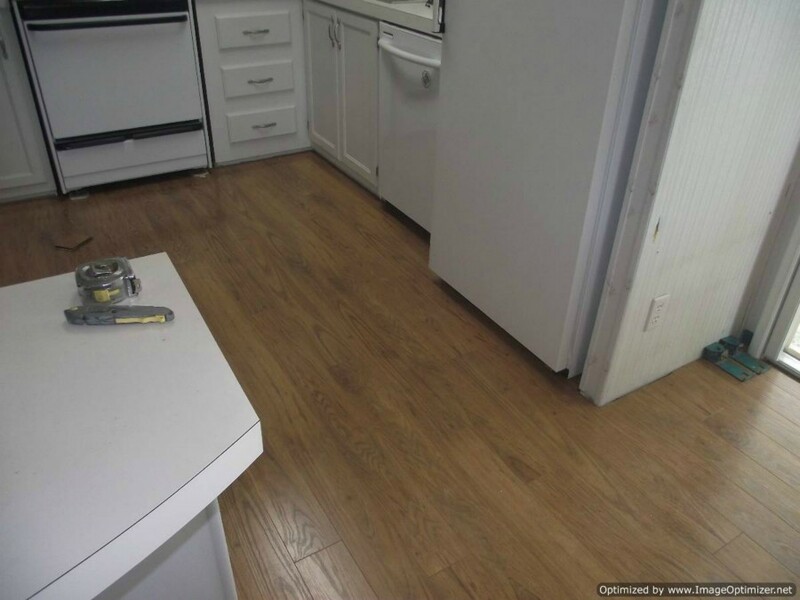 This color I installed is Alexandria Walnut. 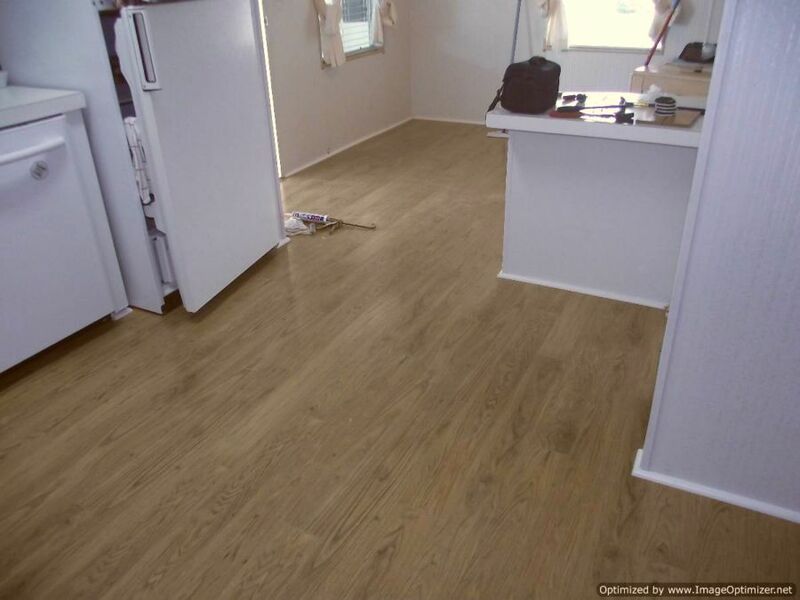 The Plank size is 4 7/8 inches wide by 47 7/8 inches long and 10mm thick with an attached pad that is 2mm thick. All four sides have a beveled edge. I always like the narrow boards with the beveled edges as it looks more like hardwood. 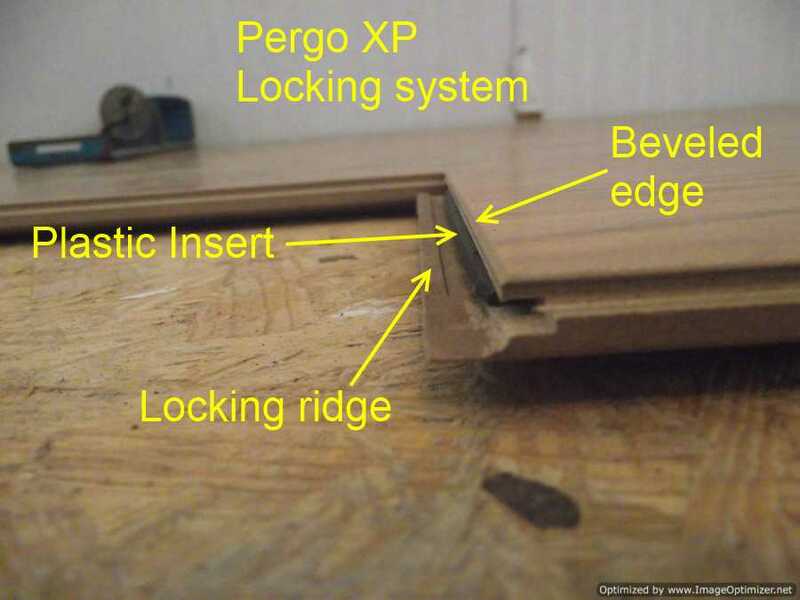 This Pergo XP uses a drop and lock locking system. Which means that the end drops down and creates the end joint. It also has an insert made of plastic that holds the end joint down. NOTE: After locking an end joint together and you need to undo it, you have to slide it apart. If you try to lift the end joint up it will damage the edge of the plank. I did have some issues with this plastic insert. 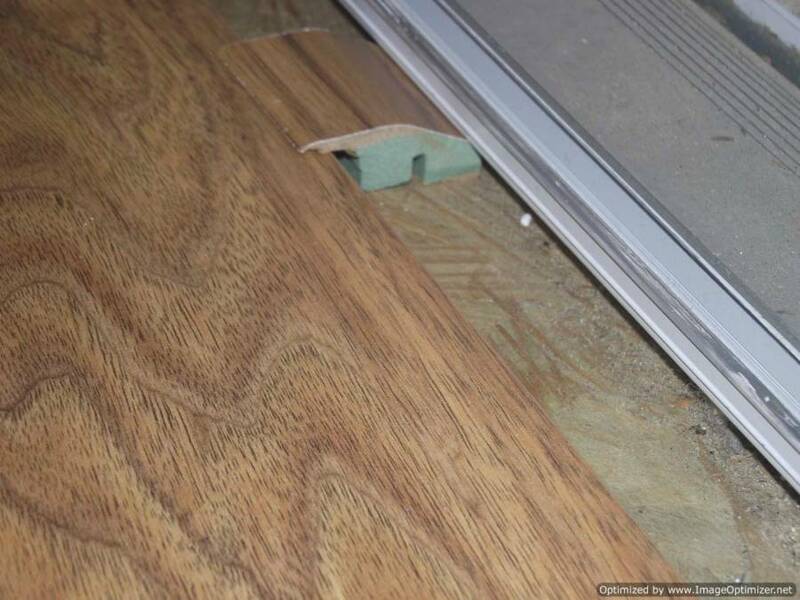 In some cases the inserts were out of their groove too far and wouldn't let the adjoining plank drop down and lock. 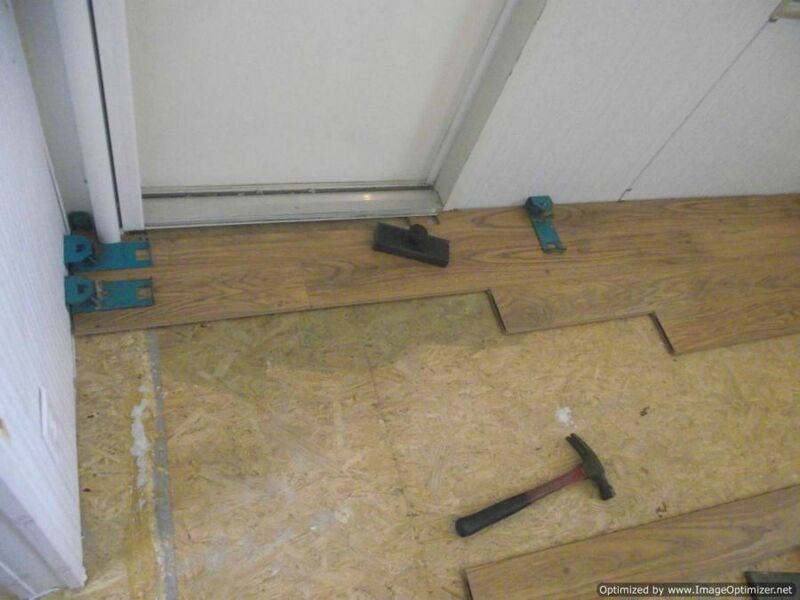 I would have to check as I worked to push the insert in before installing a plank. And sometimes it just wouldn't drop in place no matter what I did. The other thing I noticed was I saw a quite a few proud edges. This means that one edge of a joint would be a little higher than the other. With the beveled edge it didn't seem too noticeable. The proud edge was minimal. 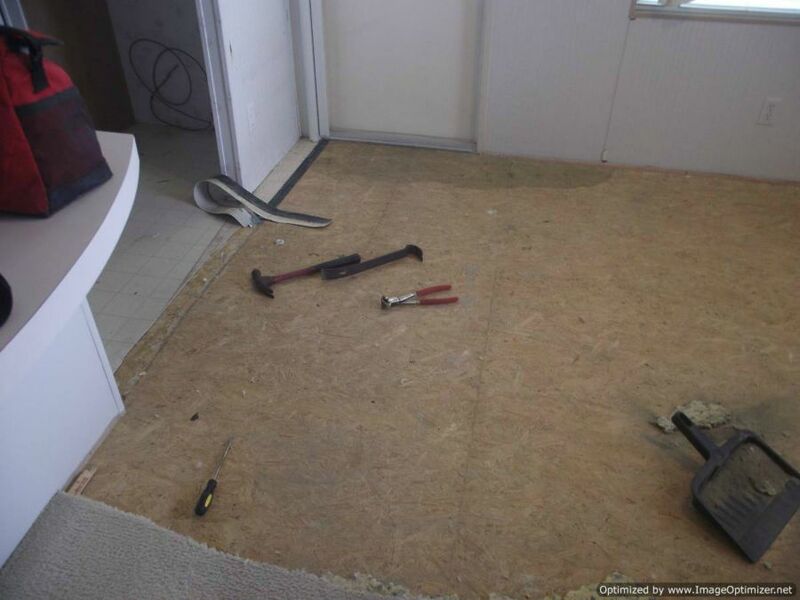 These photos show the beginning of the installation from removing the old flooring to making the correct space at the entry door. 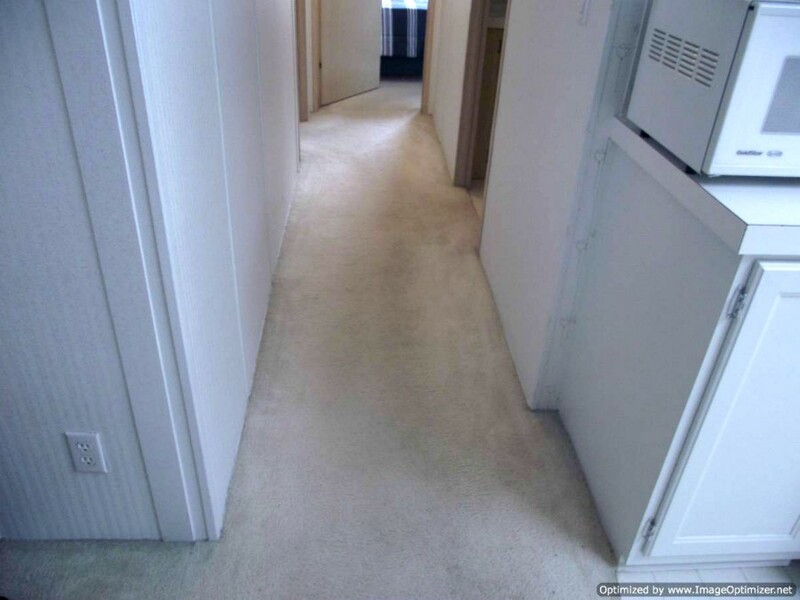 There are some before photos also. Then the finished areas at the bottom. I liked the floor, it just took some extra time messing a round with the little plastic inserts. 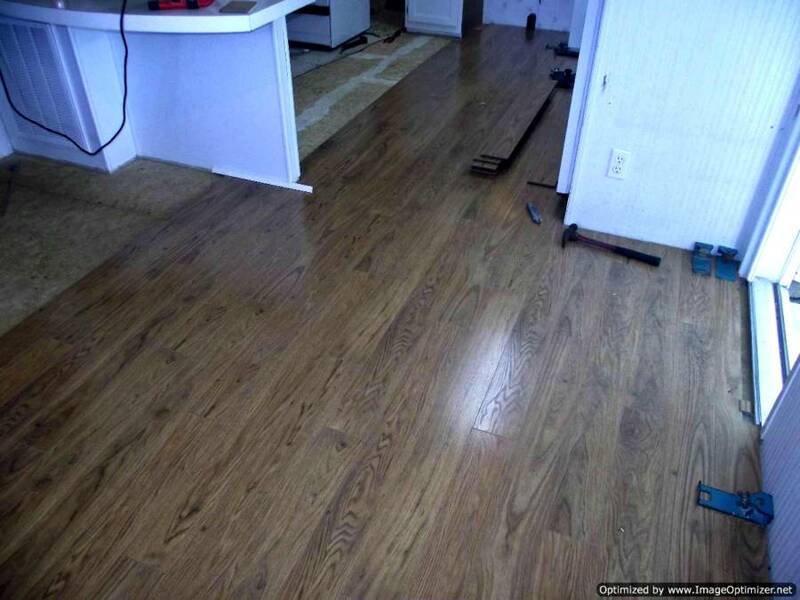 Once I had it all installed it felt solid and looks like real hardwood flooring.